For more than 35 years our preschool and childcare center has provided early learning and care for children of local families. Our reputation in the community is one of very high standards. We are here to help them develop the skills, self esteem and confidence necessary to meet with success upon entering elementary school and throughout life. Days at school include art, music and movement, gardening, playground time, social development and sharing with our pastor. We bring into our school dramatic storytellers, entertainers, police and fire department personnel and community helpers which add another dimension to our learning experiences. Our goals include providing each child with a unique understanding of their God given gifts. Through our sharing of God’s love in a caring and loving environment, we encourage each child to develop positive self-esteem, self confidence and a love of learning. We invite all children, from toddlers through 5 years of age, and their families to join our early childhood program. 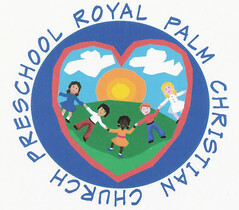 Our school offers flexible scheduling to meet the ever changing needs of today’s families; part time and full time hours are available between 7:00 a.m. and 5:30 p.m. Our part-time preschool follows the Broward County School calendar. We also participate in the state funded VPK program. Any child turning 4 years old on or before September 1st is eligible to receive 540 hours of school year instruction paid for by the state of Florida.